the freedom they gave us." 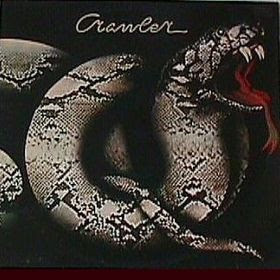 This self-titled debut...released in 1977 is often mistaken for a Whitesnake album simply from the cover art. Crawler (formerly Back Street Crawler) lost founding member...Free guitarist...Paul Kassoff to a heart attack in 1976 but continued on with a slightly different sound...more bluesy rock with a welcome dose of some tasty jazz influences. Not a must-own album...but there are at least four solid songs worthy of your hard-earned cash...with "Stone Cold Sober" being the creme de la creme. Lost Gem:--> "Stone Cold Sober"...lays down an awesome blues rock groove...almost dreamy in texture...and perfect for that late night drive. Creates an unusually cool vibe. What happened to these guys?! You find that precious thing gone. Nazareth...that little ol' band from Scotland...was wailing hard in 1975 with their classic..."Hair Of The Dog" album. Heavy blam from start to finish...it became Nazareth's masterpiece. "Beggar's Day"...written by Nils Lofgren...is owned by shred-vocalist Dan McCafferty who delivers what can only be described as inspired interpretation. Lead guitarist and mastermind...Manny Charlton...along with the rest of the band...butters the bread. If this is heaven, then I'm in hell. If trust is misfortune, then wish me well.